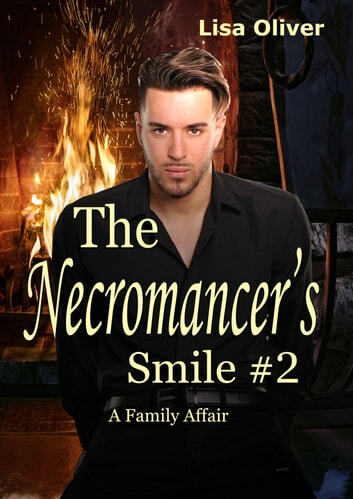 Necromancer Sy York and former Detective, Alpha wolf Dakar Rhodes are slowly learning to merge their lives together as true mates. With the steadfast Brock and loyal Brad, as well as Connor and Clive all sharing the estate with them, for the first time in his life, Sy feels as though he has a family around him. But just as Sy's starts to get used to his new life, an uninvited guest to his party brings trouble to the family group. Sy's father has been scheming in the background for ten years and arrives complete with Sy's new bride. Just as Sy remembers from when he was growing up, his father flatly refuses to accept Sy and Dakar's mating and an angrily thrown power ball is just the start of the couple's problems. To add mayhem to a volatile situation, Dakar isn't handling the threat to his mating very well. Ghostly grandfathers, scheming family members, new mates, and a meddling mother in law; this book has it all. 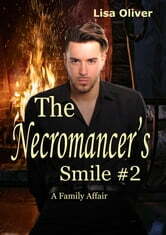 Please note this is the second book in The Necromancer's Smile trilogy. The Epilogue in this story is the prelude to book 3 and starts the thread of a new plot line. Because of this some might say that this does end on a cliffhanger although the story line in this book is resolved. You will need to read book one before reading this story.